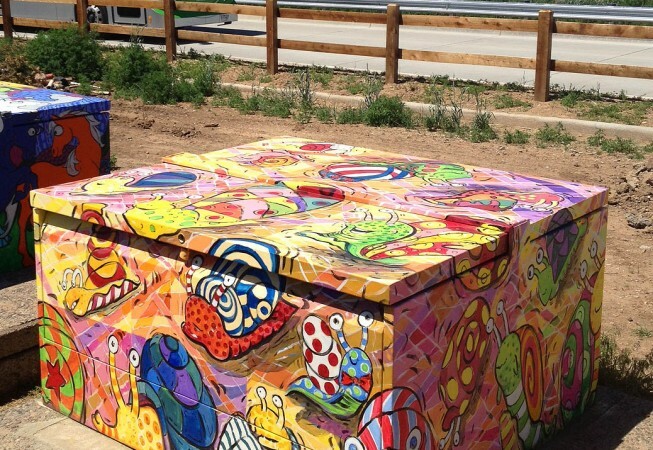 Snails are gathering and on the move in Fort Collins! The “snail herd” has caused a multi-colored slime paved background. The slime paths are kept in the vibrant warm colors. Each unique snail has a patterned body and complimentary shell with lots of smiles. Complimentary to Ren Burke’s horse herd. My herd could be of any animal. I was inspired by my eight-year-old son’s recent drawings of snails. If I could choose to be any animal, it would a snail – as I would always be comfortably at home! 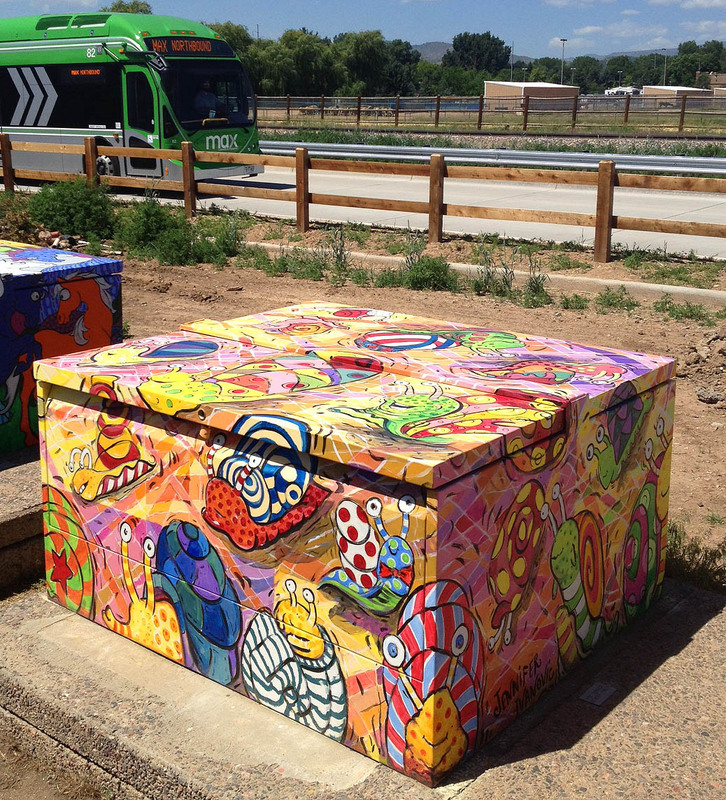 This transformer is on the new Public Bus Metro Line, off College Ave at Horsetooth. Behind K-mart in Fort Collins, Colorado.